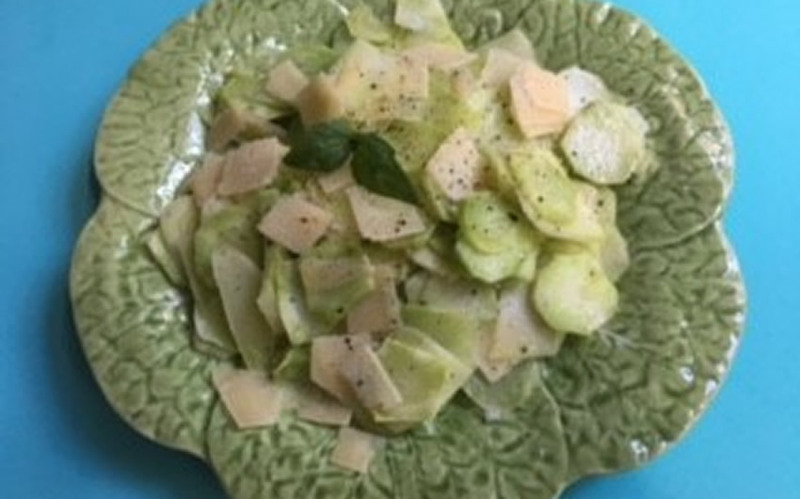 The following simple recipe is one of my favorites, the preparation is easy and the salad flavors are reminiscent of baby artichokes done in the Italian style. 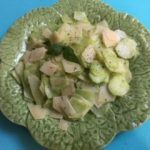 Slice the stems and cores on a mandolin or slicer, thin as possible. Squeeze lemon over slices and toss. Add parmesan cheese and salt & pepper to taste. This is a delicious and impressive first course. Most people simply break off the broccoli and cauliflower florets and toss the stems and cores. Big mistake. The stems and cores are not only delicious but have a similar nutrient content to the florets, so start using every tasty, nutritious part of broccoli and cauliflower. I love this! Thanks for encouraging me to not be so wasteful with the otherwise “throw-away-able” parts of these veggies!